How is your week going? Mine is me being sick and hoping that I get to feel better so I don't have to go to the doctor. I'm still trying to do blogging things, but the sick does make me want to just curl up and watch SVU all day, every day. 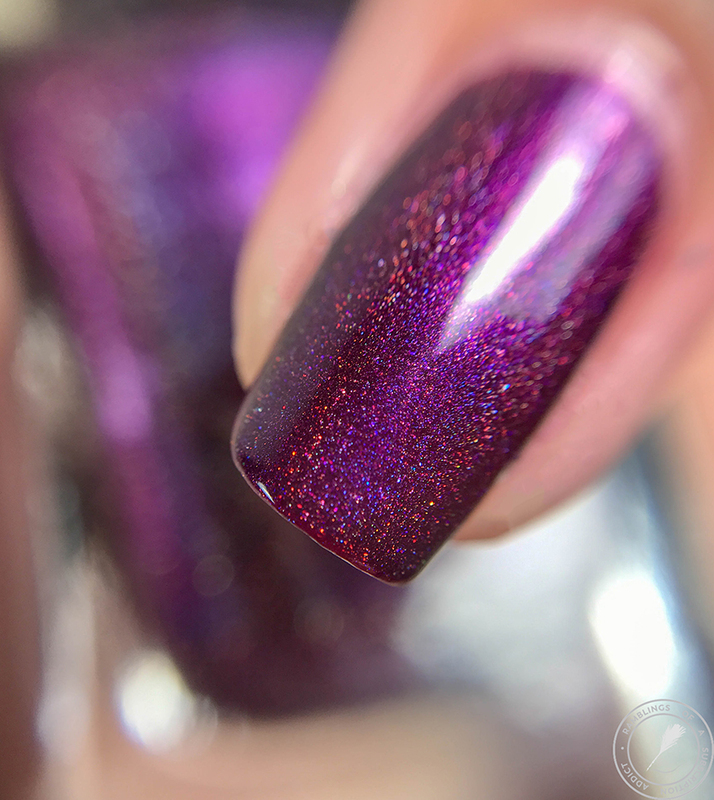 I'm going to just give up on being more personable and having a nice intro on this post and just say, look at this polish. It's not currently available but it's freaking stunning. This Fruit Was Bruised? The Fruit Was Bruised? Honestly, I'm confused! The bottom of my bottle says this but some blogger reviews say the. 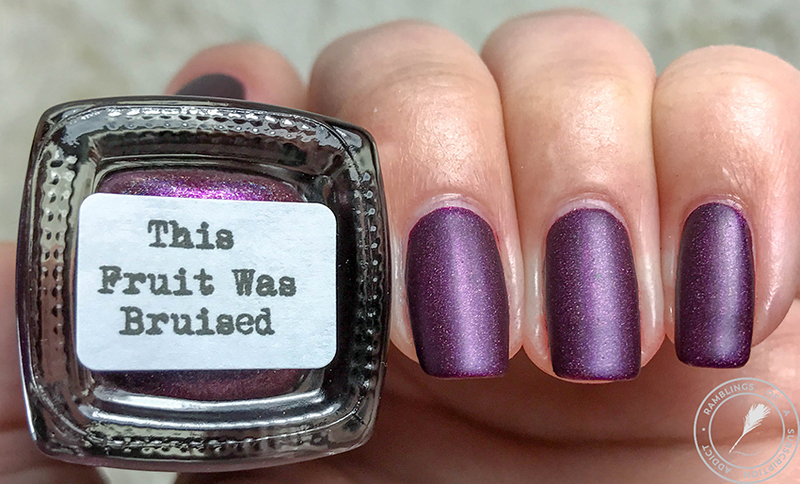 Either way, it's a gorgeous polish. 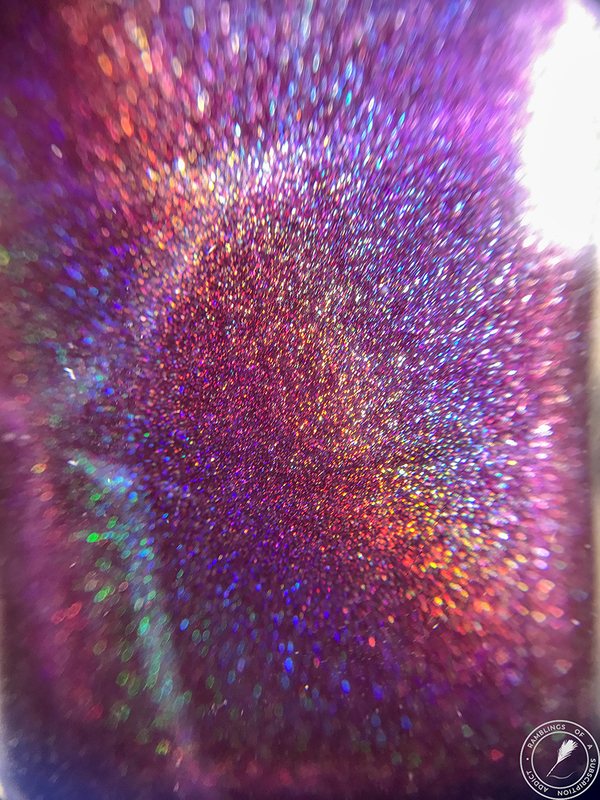 This Fruit Was Bruised is a deep, bruised burgundy/purple linear holographic. 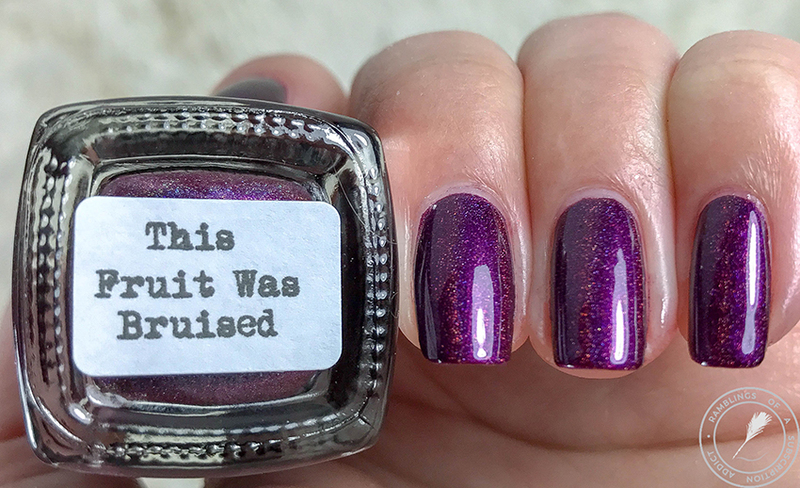 This is another swatch from way back, thus the longer nails (current me has short nails). 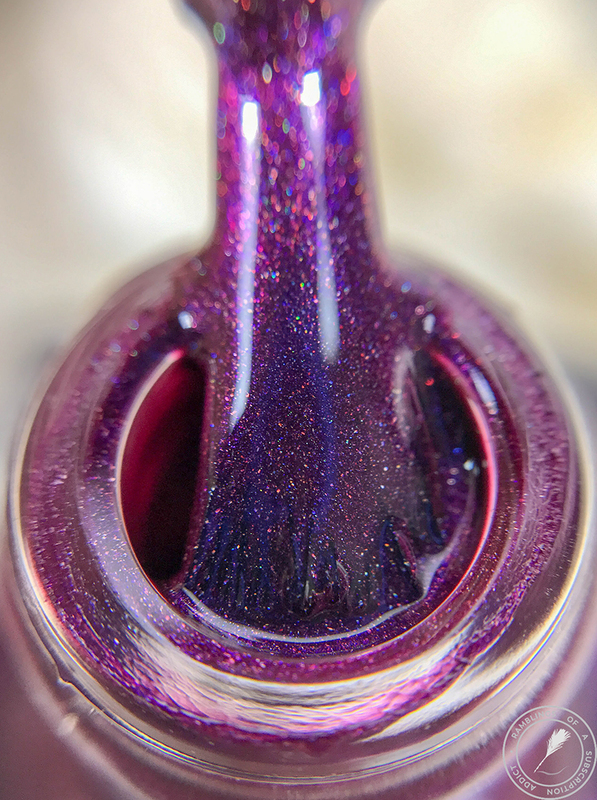 The polish itself is so pretty, a gorgeous darker purple but with an amazing reddish shimmer. Look at the red in this picture! I love this slight pop of something different. 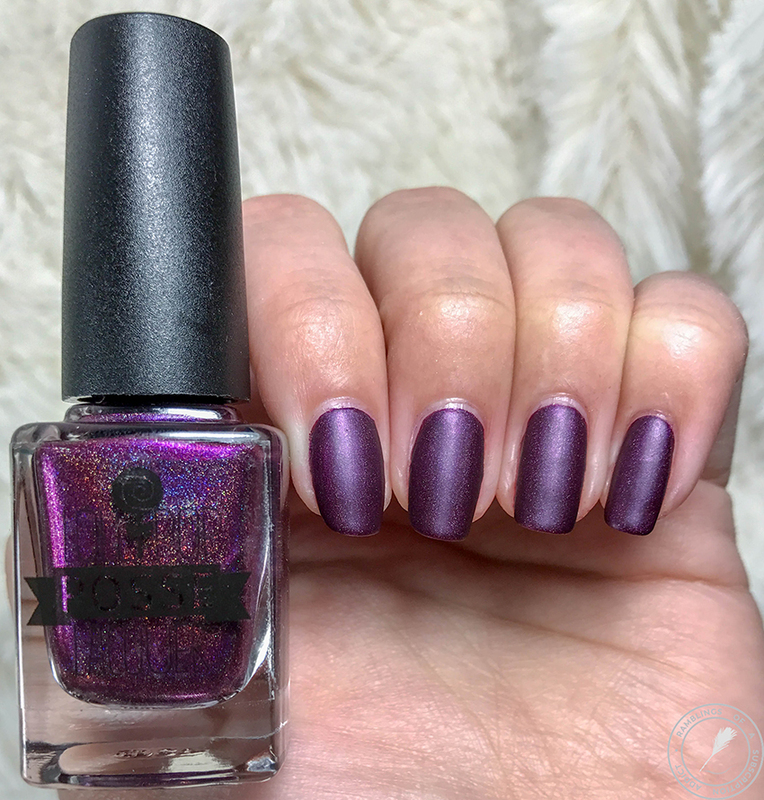 I'm not really a fan of this polish with a matte top coat. 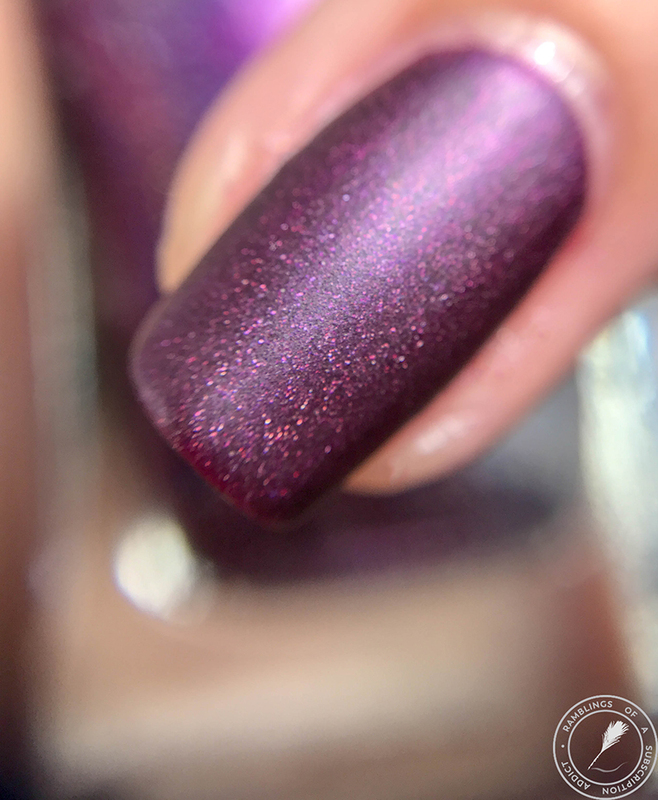 The red shift/shimmer/whatever you want to call it doesn't show as much and I think it definitely makes this polish special.